0.01 Acres 13x38 and 494 total sq ft. Vacant Lot Zoned RM1, Building Type Permitted: Detached, Semi-Detached, Attached, or Multiple Buildings on a Lot. Basic Permitted Uses: Single-Family, Two-Family, or Multi-Family Dwellings. RM districts are intended to accommodate moderate- to high-density multi-unit residential buildings. 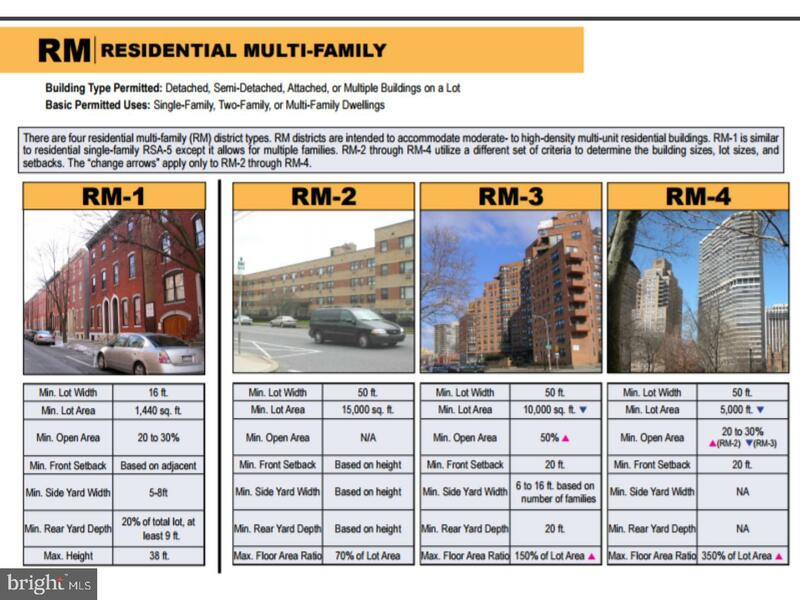 RM1 allows for Multi Families. Also available MLS #6962518 LOT 2502 N Leithgow St & MLS #6962523 LOT 2504 N Leithgow St & MLS #6962535 LOT 2510 N Leithgow St. SOLD Individually or as a package. MLS#'s 6962518,6962523,6962535. Property sold in "As Is" condition. Buyers are responsible for City Certification. 2508 N LEITHGOW STREET , Philadelphia PA 19133 is a Land, with 0 bedrooms which is for sale, it has 494 sqft, 494 sized lot, and 0 parking. A comparable Land, has 0 bedrooms and 0 baths, it was built in and is located at 2510 N LEITHGOW STREET PHILADELPHIA PA 19133 and for sale by its owner at $ 39,900. This home is located in the city of PHILADELPHIA , in zip code 19133, this PHILADELPHIA County Land, it is in the NORTH PHILA EAST Subdivision, and KENSINGTON are nearby neighborhoods.